Soteria International takes active part in civil society at political and social level to promote the integration of spiritual principles in our decisions for the future. Soteria also researches and acts within the judiciary, social and political fields in cases of human rights violations related to spiritual practice. CAPLC (European Coordination of Associations and Individuals for Freedom of Conscience) follows a humanist universal call towards peace, brotherhood and tolerance regarding all human beings. EIFRF is a Non Governmental Organization registered in France as a not-for profit association officially recognized by the French administration as being of "philanthropic general interest". It is a non-political organization, and independent from any specific faith or religious organization. The All Faiths Network is open to people of every faith and belief without discrimination. It is registered with the Charity Commission as an incorporated body with charitable objects: to promote religious harmony for the public benefit and to work for positive, inclusive dialogue. We are firmly committed to the principle of religious equality and to also work in international forums to raise awareness about religious discrimination in order to bring about religious freedom for all. The Association for the Defense of Human Rights and Religious Freedom (ADHRRF) is an independent, non-governmental and nonprofit organization, which has established associations in Australia, Germany and Spain. The ADHRRF aims to advocate, promote, and defend human rights and religious freedom. Too often, in several countries, refugee status is denied to persons fleeing religious persecution, based on an insufficient understanding of their religion, their situation, and international law on religion-based refugee claims. 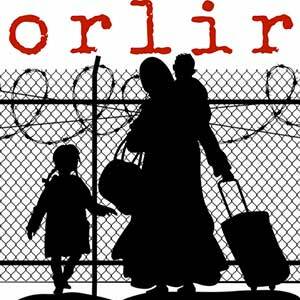 ORLIR informs on religion-based refugee claims in general, and on specific cases of persecuted minorities, and cooperates with international organizations, governments, and NGOs to make easier the recognition of those who escape religious persecution as refugees, and to safeguard their religious liberty in the countries where they seek asylum.